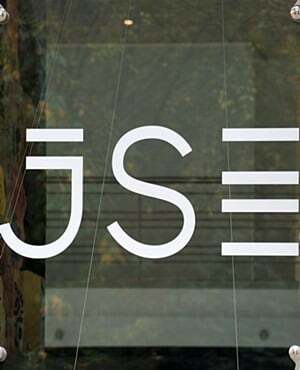 The JSE closed firmer on Thursday led by gains mainly from the industrials sector. Sentiment has continued to improve in the Asian markets as news emerged that the Chinese are optimistic about a possible resolution to the trade war. US corporate earnings have remained largely positive, particularly from market giants, which helped shift the momentum in terms of market direction. On the JSE, index heavyweight Naspers [JSE:NPN] rallied to add another 8.56% which saw the stock close at R2 814.72. The stock has been bolstered by the resurgence in Tencent Holdings which gained 4.04% to close at $HK277.80 on Thursday. Tongaat Hulett [JSE:TON] recorded a significant jump of 10.42% to end the day at R62.51, while Astral Foods [JSE:ARL] rallied to end the day 10.11% firmer at R217.99. EOH Holdings [JSE:EOH] managed to post gains of 6.19% to close at R34.83, while Pioneer Foods [JSE:PNR] bounced to R84.66 after adding 4.54%. Sibanye Stillwater [JSE:SGL] fell by 9.67% to close at R9.25 after the release of its third quarter operating update. Lonmin [JSE:LON] also slipped by 7.14% to end the day at R8.72, while Pan African Resources [JSE:PAN] lost 5% to close at R1.52. Rand hedge, Sappi [JSE:SAP] was weighed down by the firmer rand which saw the stock drop 1.54% to close at R81.66. Bidvest [JSE:BVT] closed 1.24% weaker at R181.50 per share. The JSE All-share index maintained its gains, eventually closing 2.27% higher, while the blue-chip JSE Top-40 index gained 2.42%. The Industrials Index was the biggest gainer of the day after adding 3.55%. The Resources and Financials indices rose by 0.81% and 1.54% respectively. The rand gained over 2% against the US dollar as the greenback retreated against a basket of major currencies. The local currency firmed to a session high of R14.45 which is also where it was trading at 17.00. Gold firmed on the back of the weaker dollar to trade 1.52% firmer at $1 233.18/Oz at 17.00, while platinum was up 2.71% at $859.63/Oz and palladium was 1.84% firmer to fetch $1 100.20/Oz. Brent crude was 0.36% weaker to trade at $74.77/barrel just after the JSE close. At 17.00, Bitcoin was 1.21% firmer at $6 362.65/coin and Ethereum had gained 1.74% to trade at $198.40/coin. * Musa Makoni, a trading specialist at Purple Group.